Nico Bolzico’s earliest memory of playing football was when he was two or three years old. “I remember kicking the ball with my Dad every afternoon after he’d come back from the farm,” he recalls. FOR THE LOVE OF FOOTBALL. Nico Bolzico, who grew up playing football, associates fond memories with the sport as well as considers it one of the things that motivates him to stay fit. Football is an intense sport which requires a person to stay focused and alert at all times. In order to stay fit for the game, the quirky founder of the “#BulliedHusbandsClub” works out five to six times a week. He also runs, sprints, does pushups, joins races like Spartan, and tries to eat healthy. 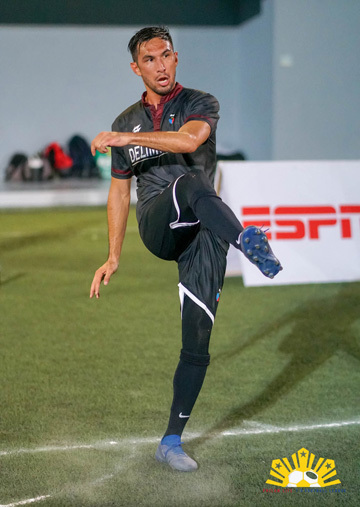 Former Azkals and Philippine national football team member Anton del Rosario founded 7’s Football League to develop the country’s passion for the sport. Bolzico asserts the most important part of playing football is loving the game. Along with other football enthusiasts Chris Greatwich, Jason Dejong, Roxy Dorla, and Mike Reyes, Bolzico is part of the Philam Life 7’s Football League, a tournament started last year by former Azkals and Philippine national football team member Anton Del Rosario, who has dedicated most of his life to developing the country’s passion for football whether on or off the field. This year, the league is partnering with Philam Life, which shares Del Rosario’s advocacy of encouraging Filipinos to strive to live a more active lifestyle. “I have always believed in partnerships, especially when it comes to building programs for the youth. The fact that we have Philam Life and AIA on board, a company with international influence when it comes to football, shows we are going in the right direction. They are not only supporting the dreams of the youth but also fulfilling dreams of players who never got the opportunity to play at the highest level. I hope this is the beginning of something that will last a long time,” enthuses Del Rosario. 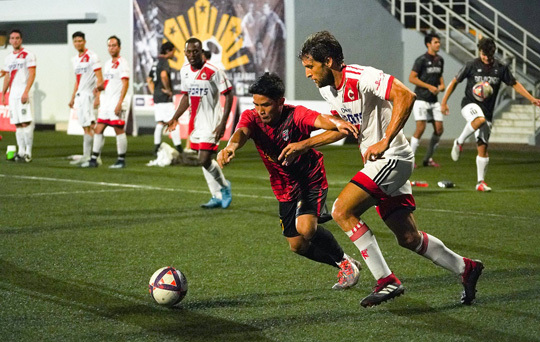 Bolzico plays for the Philam Life 7’s Football League. 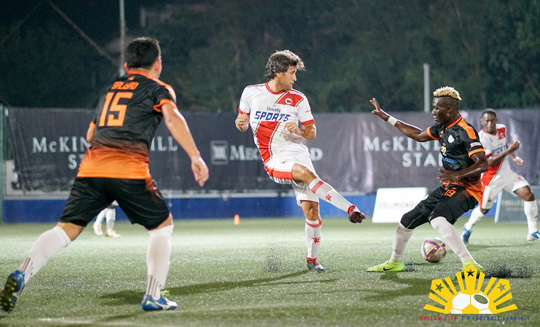 Catch Del Rosario and Bolzico go head to head at the Philam Life 7’s Football League with games held at McKinley Hill Stadium, Taguig. Admission is free. Gates are open from 6:00 p.m. to 9:00 p.m.